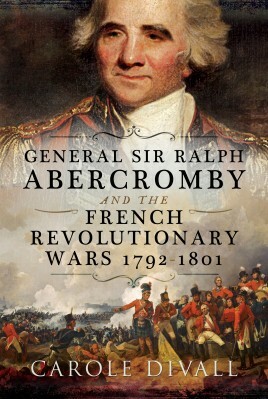 The French Revolutionary Wars of 1793-1801 are less well known than the Napoleonic Wars that followed, but they represent a critical stage in the political and diplomatic history of Europe, and Sir Ralph Abercromby played a leading role in the British military campaigns that were part of them. The French Revolutionary Wars of 1793-1801 are less well known than the Napoleonic Wars that followed, but they represent a critical stage in the political and diplomatic history of Europe, and Sir Ralph Abercromby played a leading role in the British military campaigns that were part of them. Carole Divall in this absorbing and perceptive study throws new light onto Britain’s position during the late eighteenth century, focusing on its military affairs and the expeditionary forces led by Abercromby during the conflict.As tension between Britain and France grew after the convulsions of the French revolution, the British decided to wage an economic war by attacking French colonial possessions, and money and men were sent to campaign on the continent. Abercromby was the most notable British general to exercise command of these expeditions, and his actions and experiences are central to the narrative. He led British forces during the disastrous campaign in Flanders, achieved some success in St Lucia and Trinidad, failed at Den Helder and finally triumphed in Egypt where he lost his life in 1801. Carole Divall specializes in military history, focusing in particular on the British army during the Napoleonic Wars. She has published articles on regimental history, the workings of the army of Wellington’s time and aspects of the key campaigns. Her publications include Redcoats Against Napoleon and Inside the Regiment, two studies of the officers and men of the 30th Regiment during the Revolutionary and Napoleonic Wars, Napoleonic Lives and Wellington’s Worst Scrape: The Burgos Campaign 1812.